Land adjacent to the Plant City Stadium may have a map amendment approved Monday evening to set the stage for future development. There will be six public hearings Monday evening ranging from map amendments near the Plant City Stadium to amending the city’s alcohol ordinance. City Hall is sure to be a packed house Monday night as the community gathers to observer the outcome of six public hearings. While every commission meeting deals with important and influential policy altering decisions next week could bring about some major changes to Plant City. Six public hearings ranging from map amendments to an altered alcohol ordinance are all being discussed and the public has the opportunity to share their thoughts on each of the proposed changes. The proposed map amendment for five parcels of land adjacent to the Plant City Stadium has been in the works for quite some time. On Dec. 10 the Hillsborough County City-County Planning Commission reviewed the proposed amendment to alter the current status of the property to allow for potential use of a mix of residential and nonresidential, aka retail commercial and office, for the site. They found the proposed change to be in line with the Imagine 2040: Plant City Comprehensive Plan. The same week the Plant City Planning Board unanimously recommended city commissioners adopt the proposed change. Commissioners had the proposal reviewed by the Florida Department of Economic Opportunity who told the city it had no comment on the decision. That chain of events, packed with a variety of staff reports from the Planning Commission, have brought the decision into the final stretch. 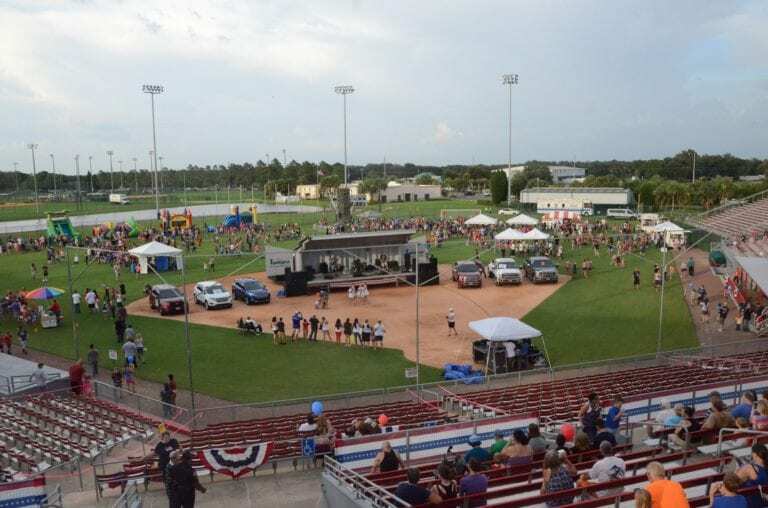 The Plant City Stadium and its surrounding area may soon be home to a massive Sports Village if negotiations between the city and Gary Sheffield Sports Village, LLC continue to blossom smoothly. Because of the promising future of the site the city wants to be able to have the land available to support a major mixed-use activity center. With the proposed amendment it could be open to residential, retail commercial, office, research corporate park and agriculture. The strip of land is along the central transportation loop of Plant City. The city will vote on a text amendment in this one public hearing as well. If approved it simply means the city would be allowed to consider greater development intensities and densities at the location. Flexibility would increase as well if the city wishes to mix any uses to support the activity center. Approving the change would shift the current allowance of 12 dwelling units per gross acre to 24 dwelling units and increase the allowable floor ratio from .35 to .75. The allowable uses for the property would change to 35 percent minimum and 85 percent maximum residential and 15 percent minimum and 65 percent maximum commercial. This map amendment addresses approximately .28 acres south of Charlie Griffin Road at Via Siena Street. The land was voluntarily annexed and the map amendment would change the property from Hillsborough County Residential-1 to Plant City Residential-4. Currently the property has the potential to be developed with one residential unit and it has a single-family detached home on the site. It’s part of the established Walden Pointe subdivision. It’s a minor alteration simply switching the labeling from Hillsborough County to Plant City. The above stated property also may be rezoned Monday night from Hillsborough County Agricultural Rural to R-1A, Single-family Dwelling District. The Planning Board reviewed the site and found it consistent with the Imagine 2040: Plant City Comprehensive Plan. There will be no fiscal impact since the property is already in the city limits and thus the city already provides all municipal services. Similar to one of the hearing prior this map amendment is a result of a pending voluntary annexation, however, this property is approximately 64.91 acres. If approved a portion of one parcel and an entire other parcel located at 1909 South Wiggins Road would transfer from Hillsborough County Residential-1 to Plant City Industrial and to be brought into the I-4 Tech Corridor Overlay. Currently the property, owned by G&D Farms, Inc., is an active agriculture production site, but with the amendment and some rezoning the owner hopes to soon develop a warehouse/distribution facility like those found along County Line Road, according to the city. The proposed land use category would allow for up to 1,414,175 square feet of industrial uses. Like the property along Via Siena Street, the 64.9 acres at South Wiggins Road also may add a rezoning to its map amendment. If approved it will go from Hillsborough County Agriculture Single-Family 1 Unit per acre to a Planned Development District, the Wish Logistics Center PD. The proposed Planned Development District site plan has a maximum total square-footage of the development to be 900,000 square feet. If commissioners agree to the map amendment in the public hearing just prior the property will then be able to have its location rezoned to be consistent with Imagine 2040: Plant City Comprehensive Plan. The most anticipated item on next week’s agenda is inarguably the proposed amendment to the Plant City Code, which will tackle the issue of bona fide restaurants and sales of beer and wine for on-premises consumption. Downtown is growing and the city staff has received a variety of requests to approve the zoning of business selling beer and/or wine for consumption on the business’s property. Currently the only way a business could sell the alcohol is if it had a restaurant license and a floor capacity of no less than 2,500 square feet and no fewer than 100 seats. In the tightness of downtown, that quickly becomes impossible for many smaller establishments. The proposed amendment would allow for smaller restaurants or similar business to have a chance to thrive in Plant City. It would add titles to the code to clarify uses such as beer and/or wine for off-premises consumption, bona fide restaurants, bars and other similar businesses. It would then add a section to address beer and/or wine for on-premises consumption. It would also add a title to clarify the use for those above stated establishments in the Downtown Core and the MTD Midtown District. Part of the problem in the past has been the city’s definition of “bona fide restaurants.” It’s definition would be altered and would open the door for sidewalk cafe’s to also be allowed to sell beer or wine. Last week, city commissioners approved to have public hearings on March 25 and April 8 for the amendment of chapters 10 and 102 in the Plant City code. With the normal consent agenda, public comments, reports from officers and commissioners and the multiple public hearings, it will undoubtedly be a long night. However, when all is said and done Plant City could see some impressive changes as a result of Monday night’s votes.